ESPN continues to lead in group nominations, while Fox is down from 2016 and 2017, and CBS/Showtime is up from that period. 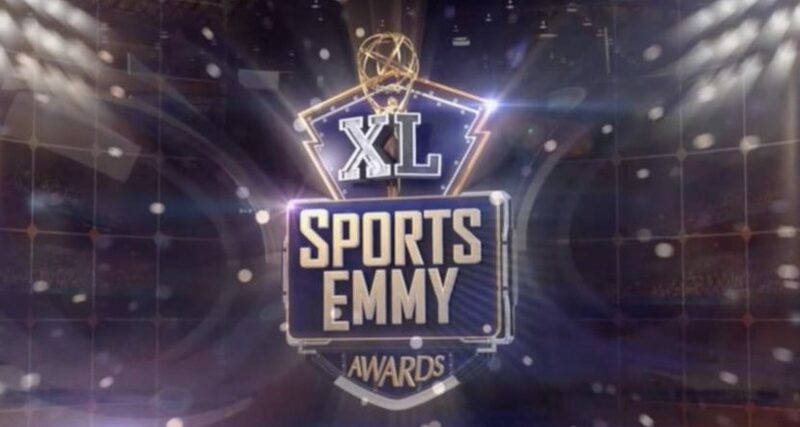 The Sports Emmy nominations come out every year around this time, and that usually leads to each network bragging about how many nominations they received. The 2019 ones are no different there. But what’s maybe more interesting is how those nominations have changed over time. It’s not surprising that ESPN consistently winds up on top here considering the amount of sports programming they’re producing across their various networks and the resources they’re putting into it. It is a little more interesting to see some of the changes at other networks. For example, NBC’s nominations unsurprisingly have a lot to do with the Olympics; in years where their Olympic coverage is in consideration, their nominations peak (the ones in question here are the 2014, 2016, and 2018 Olympics, which show up in the peaks in nominations in 2015, 2017 and 2019). Fox’s nominations, on the other hand, are trending down, and that seems to have a fair bit to do with their programming changes. The old Fox Sports Live was nominated for a fair bit of awards, and they didn’t particularly replace it with anything appealing to voters. They’ve also lost a lot of nominations from FoxSports.com (from 9 in 2016 to 1 in each of the last two years, both for coverage cross-produced with Fox’s TV properties) since firing all their writers there. It’s also interesting to see the upticks at CBS/Showtime (across the last two years) and HBO (this year). At HBO, both Hard Knocks and Real Sports With Bryant Gumbel picked up a slew of nominations as usual, but they also got some nominations for efforts like Momentum Generation, Being Serena, Courtside at the NBA Finals, and 24/7 The Match. A lot of those were partnerships with outside groups, from Priority Pictures to Endeavor Content to Ringer Films, but they also show HBO’s wider return to the sports documentary space after some lean years. Meanwhile, CBS got a lot of nominations for its various live sports (NFL on CBS, SEC on CBS, Army-Navy, March Madness) and for the Super Bowl this year, and Showtime got some nods for Shut Up And Dribble. Anyway, the Sports Emmys don’t necessarily mean a ton other than as something for networks to promote when they pick up nominations or wins, but looking at the trends over time has some merit. ESPN seems likely to stay on top here considering how much they’re investing in sports, but there’s room for other networks to jostle back and forth for positioning. And CBS/Showtime and HBO have seen some success there lately, while the story seems less positive (on the Sports Emmy front at least) over at Fox.